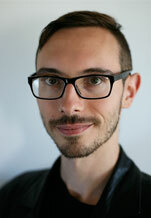 Tune in to The Graduates next Tuesday for an interview with Adam Carl from the Scandinavian Department at UC Berkeley. Adam is studying the works of Selma Lageröf, a Swedish author, teacher and Nobel laureate. In the interview, Adam explains how he became interested in Scandinavian studies through his passion for Norse mythology. We discuss modern interpretations of Norse myths, and he explains how we should relate to stories transmitted to us from historical cultures.